To learn more about our Annual Campaign, click here. To make an Annual Campaign donation now, click here. 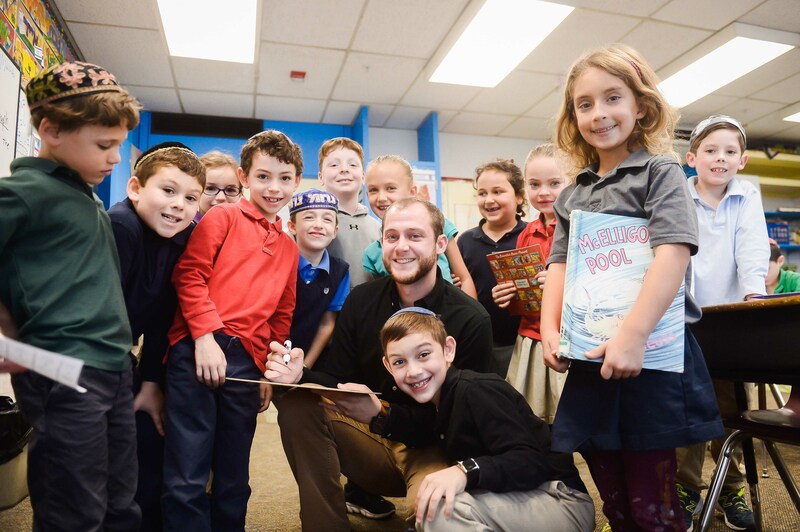 To make a donation to Krieger Schechter Day School on behalf of someone else as a tribute, please click here. A KSDS tradition for almost 15 years, the Schneider Fund raises tens of thousands of dollars each year. Each class in the Middle School has its own fund, which welcomes donations for any reason: a memorial, to honor someone, or to celebrate a birthday or another major milestone. The Schneider Fund collects money from donations to split between a tzedakah fund in Israel and a subsidy to help lower the cost for each student to attend their 8th grade Israel trip. You’re also welcome to make a donation in advance of your own child’s Schneider Fund year. That money will be tracked and counted toward your child’s 8th grade Israel trip and the tzedakah fund that your child’s class selects. If you wish to donate to the Schneider Fund, please leave a check and a note with the details of your donation in the Lower School Office and designate which class year you are donating for. Please include your name and address, and the name and address of the honoree, so that the committee can send an acknowledgment card. Questions about The Schneider Fund? Contact: Robyn Blum at rblum@ksds.edu.